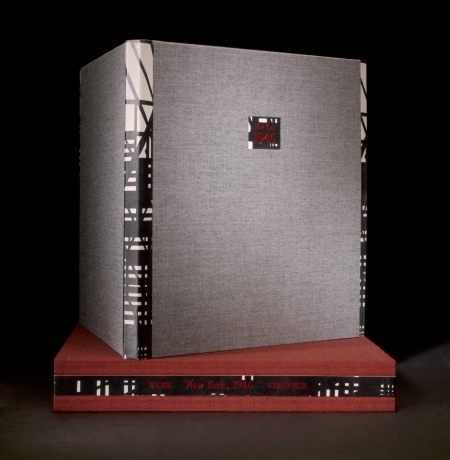 This sumptuously printed oversized volume presents the best of Todd Webb’s New York City work, collected in an appealing sequence edited by Betsy Evans Hunt, the Executive Director of the Todd Webb Archive, who also details her connections to Webb in the appendix. 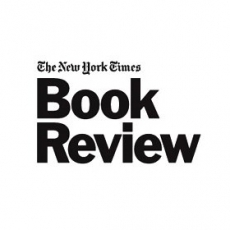 There are also two illuminating essays, by Sean Corcoran and Daniel Okrent, that supply details about the background of the photographer and his time. 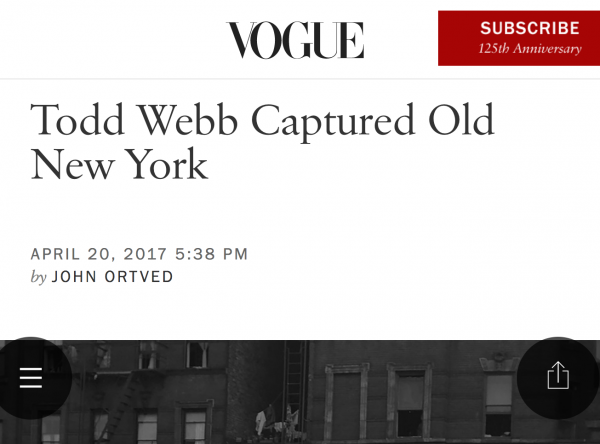 Webb's photographic journey through old New York is the subject of a brilliant book published by Thames & Hudson, I See A City: Todd Webb's New York. 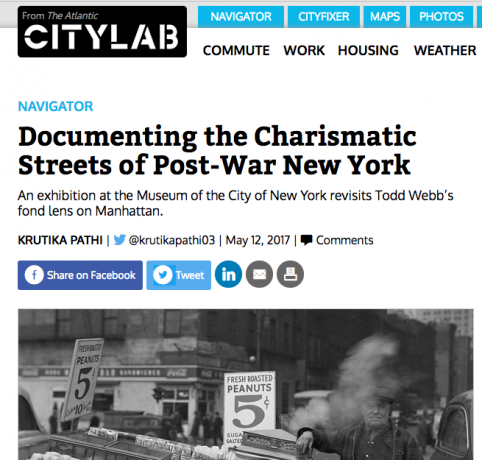 An exhibition of Webb's photos was presented last year at the Museum of the City of New York. 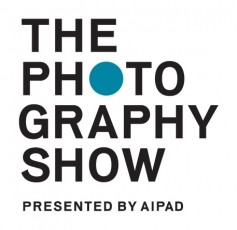 This year we are proud to have a booth at AIPAD's Photography Show. Join us! Africa 1958: This newly discovered color work was made by Webb in Tanganigka (now known as Tanzania), Rhodesia (now known as Zimbabwe) Sudan, Somalia, Ghana, Togo, and Kenya for five months commencing in April 1958. Commissioned by the United Nations, the vibrant photographs document people in their communities with a focus on workers and local industries. The series is distinctive for being in color and the only known photographic documentation of its kind during this period. 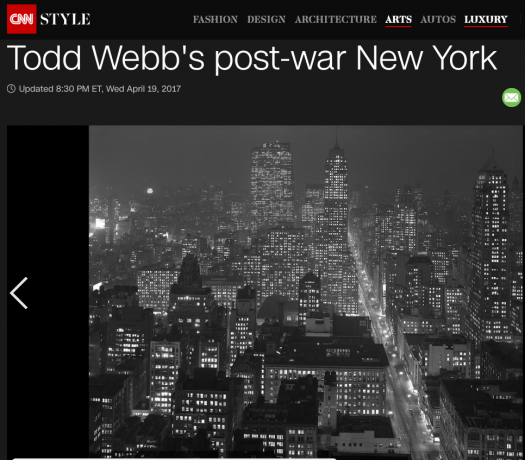 New York Post-World War II: This series presents Webb's intimate and wonderfully rich exploration of the everyday life and architecture of New York in the years following World War II. 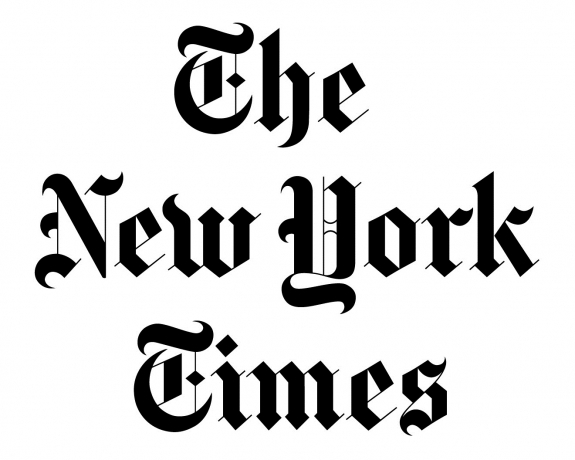 In The New York Times Book Review of the book, Luc Sante writes: "I See A City: Todd Webb's New York shows an upbeat, down-market post-World War II Manhattan, filled with sidewalk vendors and one-story sheds and hand-painted signs... His pictures present a vividly comestible pedestrian-eye view, one that invites you to walk into that pawnshop, take a seat on that streetcar." 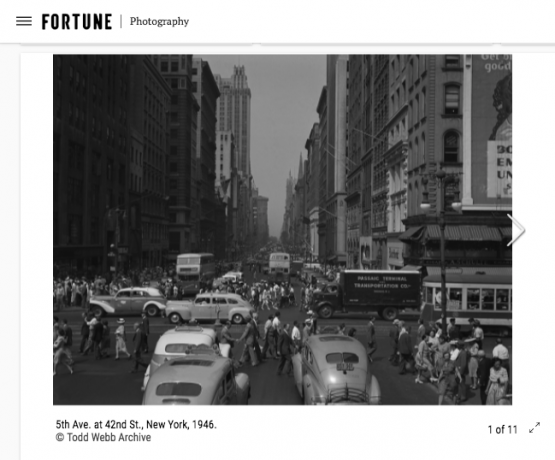 Among the prints on sale is the iconic Sixth Avenue panel -- a panorama of one block, Sixth Avenue, 1958 between 43rd and 44th streets, assembled from eight separate frames. 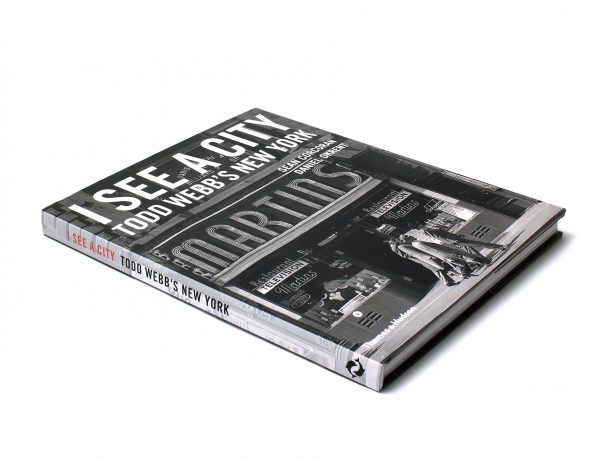 I SEE A CITY: Todd Webb’s New York (Thames & Hudson, $45), written by Sean Corcoran and Daniel Okrent and edited by Betsy Evans Hunt, shows an upbeat, down-market post-World War II Manhattan, filled with sidewalk vendors and one-story sheds and hand-painted signs. His main points of reference are Third Avenue (then shadowed by the el train), 125th Street and the East Side waterfront, which all still look like the 19th-century city, updated only slightly. His single most famous work is a panorama of one block, Sixth Avenue between 43rd and 44th Streets, assembled from eight separate frames, showing an easygoing, gently flyblown landscape of bars and juice and burger stands, secondhand-record stores, an artists’ supply, a pool hall. It seems as if all you have to do is cross the avenue to melt into the thin Sunday crowd of browsers and idlers. But that attitude is gone along with its setting, replaced by glass and steel. 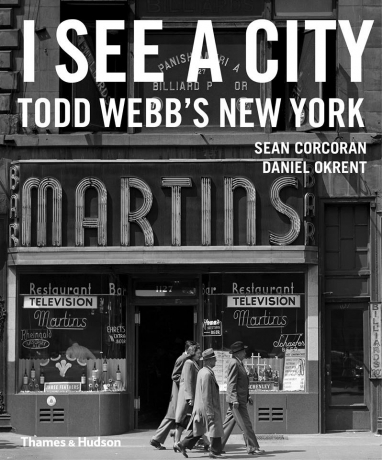 I See a City: Todd Webb’s New York, out today (November 21) from Thames & Hudson, chronicles this era of Webb’s postwar photography. 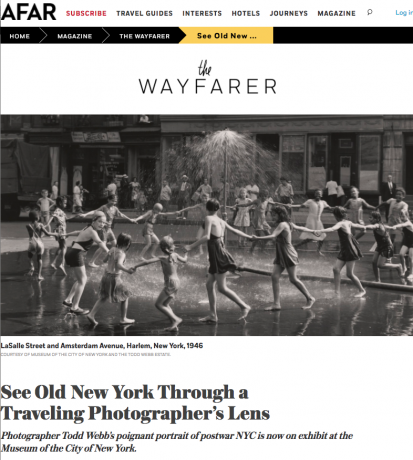 Edited by Betsy Evans Hunt, the executive director of the Todd Webb Archive, it concentrates on photographs from the 1940s and ’50s. 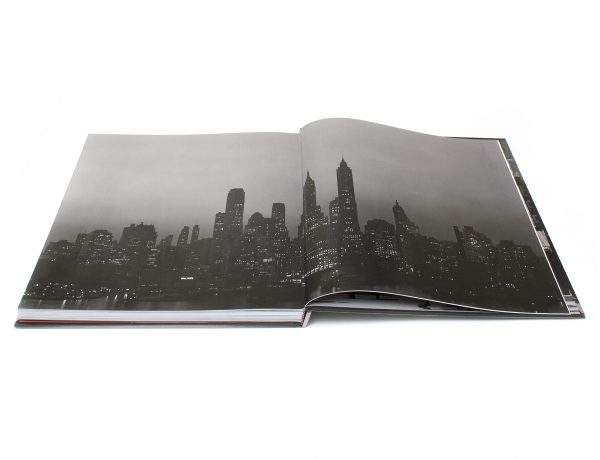 The book follows the A City Seen: Todd Webb’s Postwar New York, 1945-1960 exhibition recently at the Museum of the City of New York (MCNY), which commemorated a 1946 exhibition of Webb’s work at the museum. 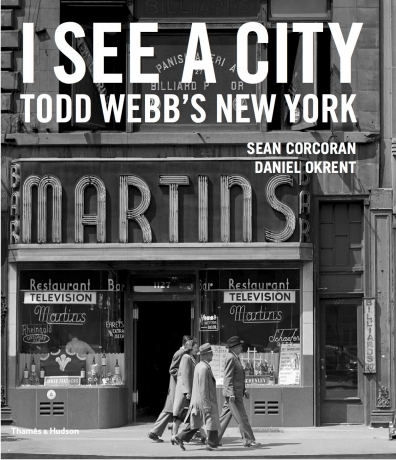 “Rather than concentrating on the glamorous nightlife and modern, shining towers often seen in magazines such as Life or Look in the postwar years, Webb was interested in finding the remarkable in the quotidian,” writes Sean Corcoran, curator of prints and photographs at MCNY, in I See a City. Join us in New York City to celebrate the arrival of I See A City: Todd Webb's New York (Thames and Hudson, 2017), edited by Betsy Evans Hunt. Join us in Portland to celebrate the arrival of I See A City: Todd Webb's New York(Thames and Hudson, 2017), edited by Betsy Evans Hunt. Everything about this show feels right. The scale of the rooms; the cheerful colored backgrounds to the wall texts; the number, variety, selection, placement, quality, and lighting of the prints; the temperature of the air-conditioning; and of course the venue: the Museum of the City of New York launched Todd Webb’s career by sponsoring his first solo show, in 1946. 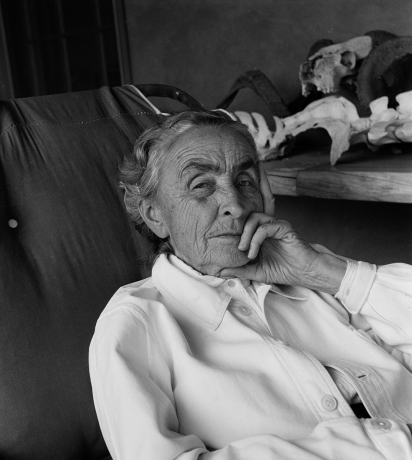 Anyone could spend a pleasant hour here this summer learning more about this underappreciated photographer (1905-2000). In the new exhibit "A City Seen: Todd Webb's Postwar New York, 1945–1960" at the Museum of the City of New York, there's a photograph titled simply 123rd Street, Harlem. It's an exterior shot of a storefront window with a handwritten sign that reads as follows: tailor is dead. H. Reid. but business will be carried on as usual by son. W. Reid. 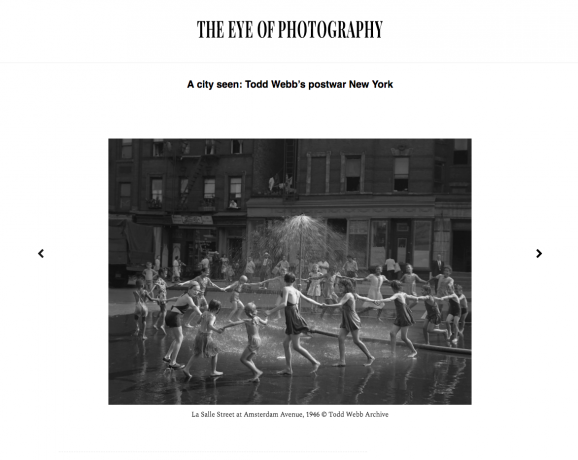 Like so many of us do today, Todd Webb learned about a new city through the viewfinder of his camera—although back in 1945, his camera was hardly pocket-sized. 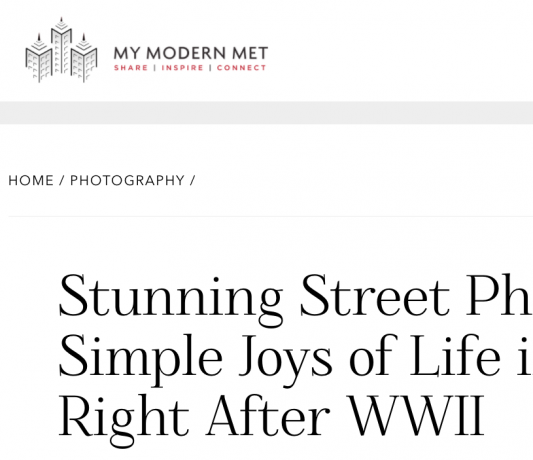 Freshly discharged from the U.S. Navy following World War II, Webb landed in New York and, shouldering his heavy photography equipment, began to explore both the city and a fledgling career as a professional photographer. 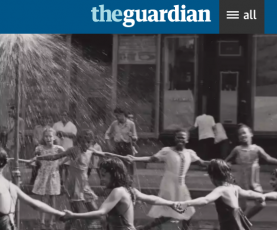 "New York City after the second world war - in pictures"
Todd Webb’s photographs of postwar New York depict the warmth and diversity of the city. 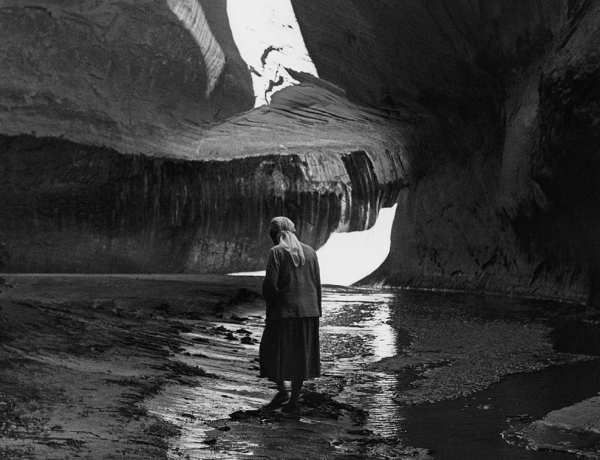 He studied under Ansel Adams, and his beautiful black and white shots reflect that influence. 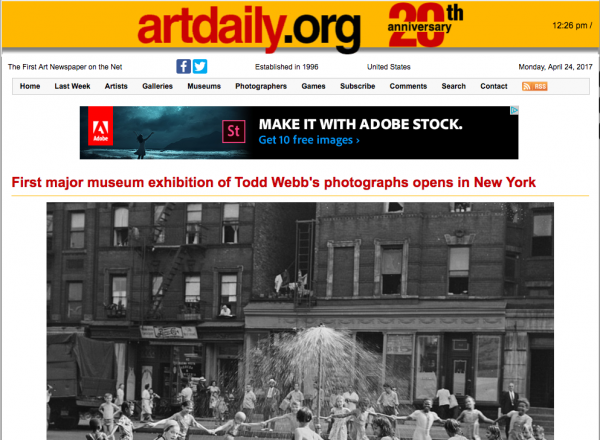 The Museum of the City of New York is hosting a retrospective of his work, Todd Webb: A City Seen until 4 September. 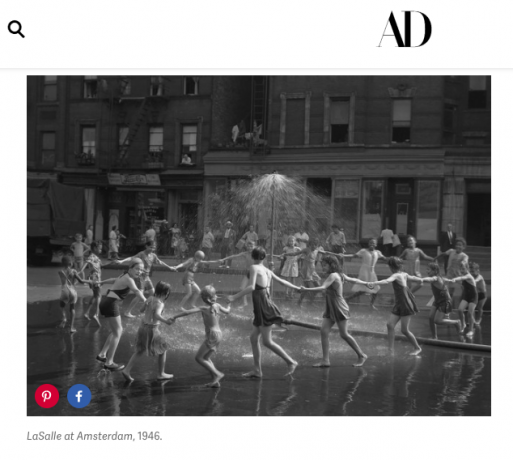 "1945-1960 Todd Webb's New York"
"Stunning Street Photos Capture Simple Joys of Life in New York Right After WWII"
Born in 1905 and raised in Detroit, American street photographer Todd Webb led an adventurous life. After losing his money in the Stock Market Crash of 1929, he spent time fruitlessly prospecting for gold until returning to his hometown and picking up a camera in 1938. It was there he found his calling. 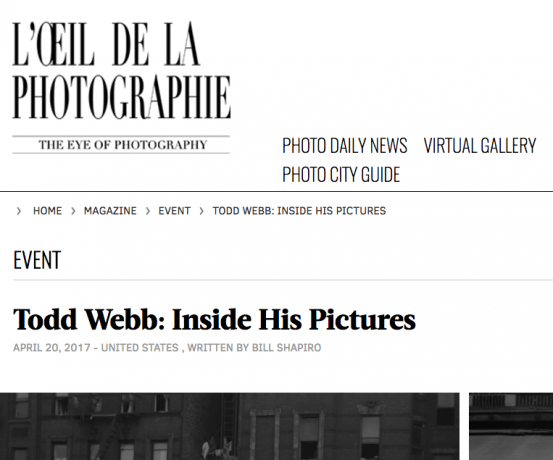 Two exhibitions have just opened in New York to celebrate the work of the late American photographer, Todd Webb. 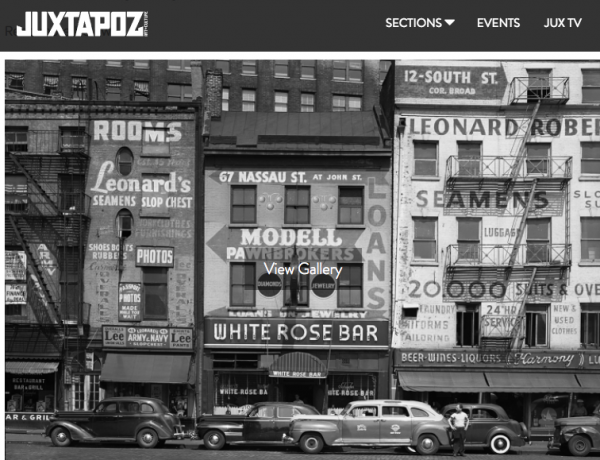 After honing his skills as a Navy photographer in the South Pacific during World War II, the Michigan photographer moved to New York in 1946, where he dedicated himself to photographing the everyday life and architecture of a city that captivated him. Armed with a large format camera and tripod, he walked around engaging with the people and the landscape surrounding him. 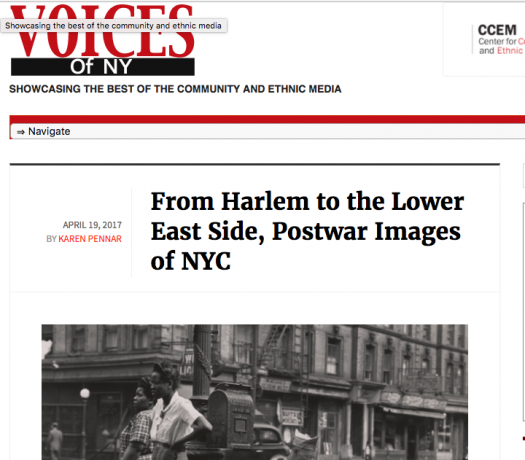 The Museum of the City of New York has revived a 1946 exhibition of photographs by Todd Web that show the city “not as a glittering megalopolis, but as a community”, as the curator Beaumont Newhall wrote in a press release over 70 years ago. 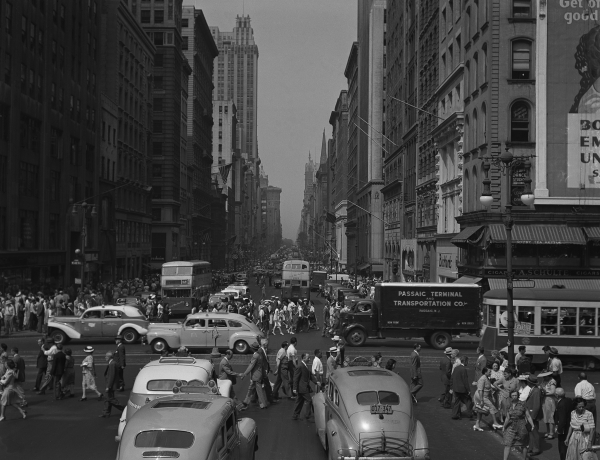 A City Seen: Todd Webb’s Postwar New York, 1945-60 (until 24 September) includes over 100 pictures by the Detroit-born artist who, after serving as a photographer for the US Navy in the South Pacific during the Second World War, moseyed to the Big Apple in 1945 and rubbed elbows with artists such as Georgia O’Keeffe, Walker Evans and Berenice Abbott. 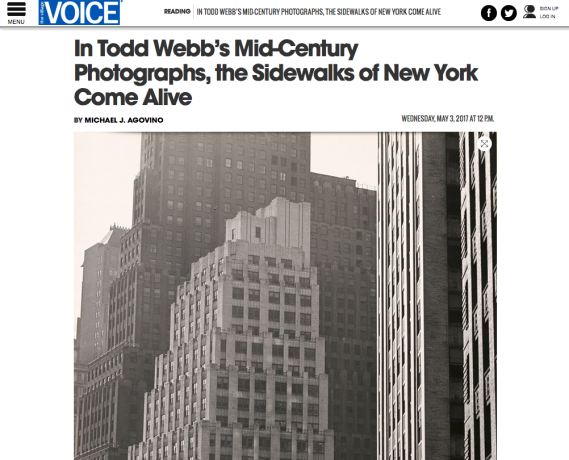 The exhibition opening today at the Museum of the City of New York is not Todd Webb’s first show there—that took place in 1946, when Webb was only a year into a new career as a professional photographer. 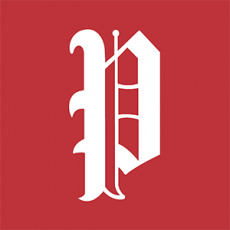 That career followed several others—he had been a stockbroker before the Great Depression, and served in the Navy during World War II. 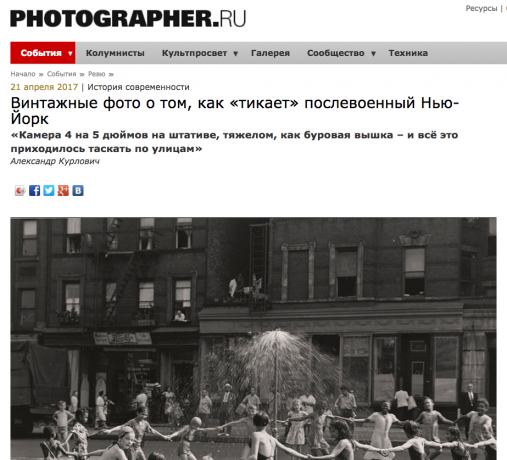 But in photography he found a long term calling, and New York City was his long term subject. The photographs arrived at The Curator Gallery in a box meant for curator Bill Shapiro, the former editor of Life magazine. 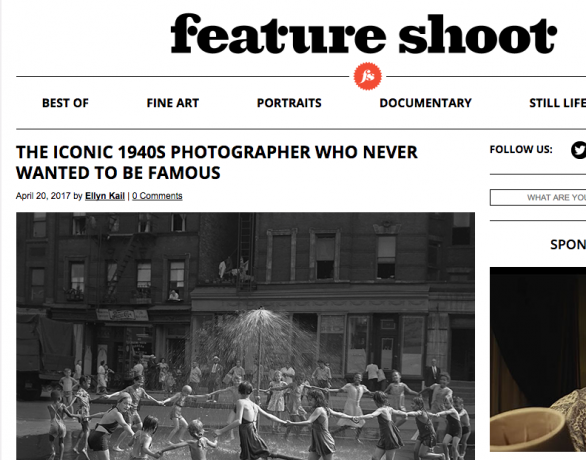 When he saw the first few pictures, the curator wondered if he could possibly be looking at the work of a Life photographer he didn’t recognize. He had never heard of the man behind the hundred-some images inside the box. 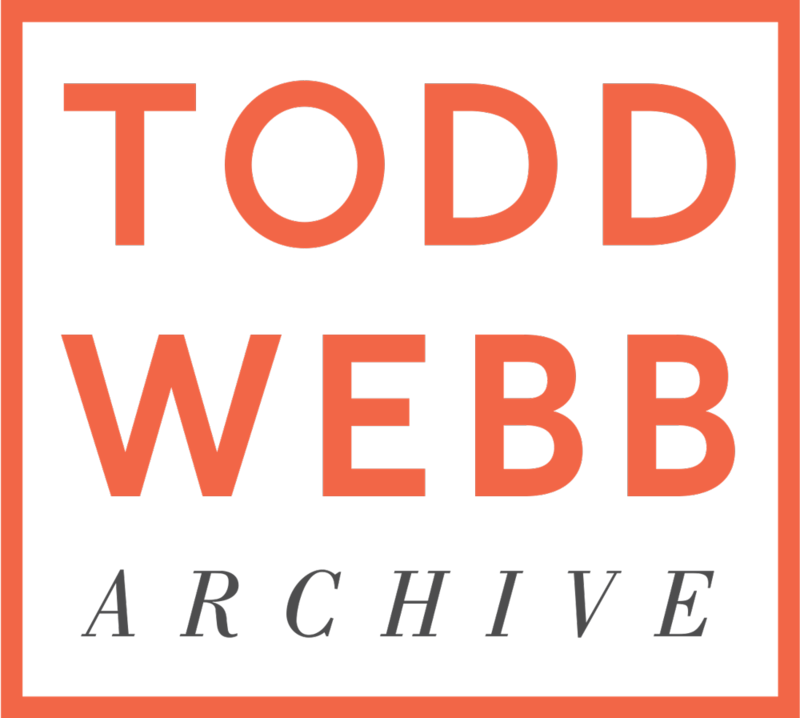 Todd Webb had been a stockbroker, a gold prospector, a fire ranger, and a military man. 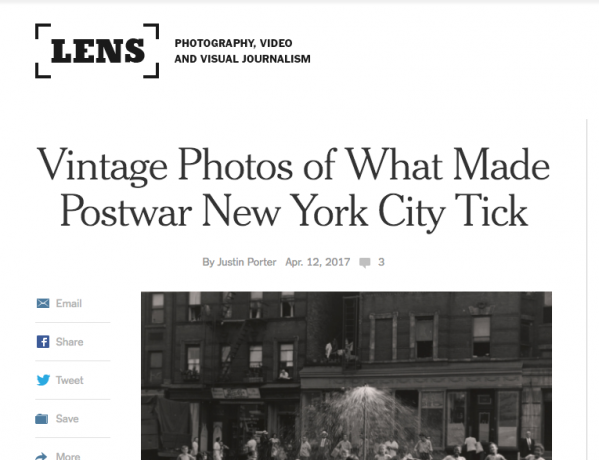 But once the war was over and he moved to New York City – sharing an apartment with photographer Harry Callahan – it didn’t take him long to make a remarkable circle of friends: Walker Evans, Georgia O’Keeffe, Alfred Stieglitz, Gordon Parks, Berenice Abbott, and on and on. Webb shot the iconic and idiosyncratic sides of New York, both her sweeping skylines as well those tiny, fleeting moments that define life in the City. NEW YORK, NY.- The Museum of the City of New York presents A City Seen: Todd Webb’s Postwar New York 1945-1960, a photography exhibition highlighting Todd Webb’s personal exploration of the city that enthralled him while providing an expansive visual documentation of New York in the years following World War II. A City Seen opens to the public on Thursday, April 20 and will remain on view through Monday, September 4, 2017. 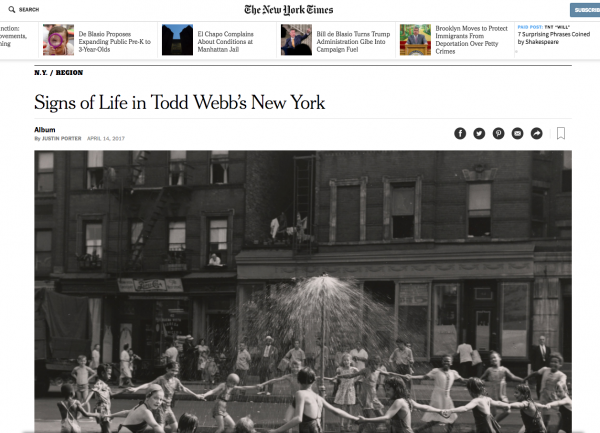 Over 70 years after his first exhibit at the Museum of the City of New York, photographer Todd Webb is getting his second one. The posthumous celebration of his work comes with a smaller showing in Chelsea, at The Curator Gallery; both shows open on April 20th. 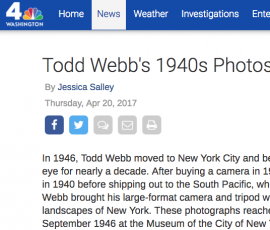 Webb's photos are stunning, and his list of fans and supporters of the time are well-known—Alfred Stieglitz, Berenice Abbott, Georgia O’Keeffe—but had you ever heard of him? 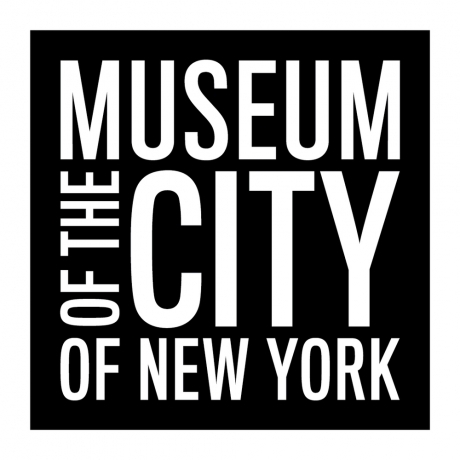 I hadn't, nor had anyone I asked, including former LIFE Magazine editor-in-chief Bill Shapiro, who curated the upcoming exhibit in Chelsea. Now, 70 years after his first exhibit at Museum of the City of New York, Webb is getting his second exhibition in conjunction with another at Curator Gallery. 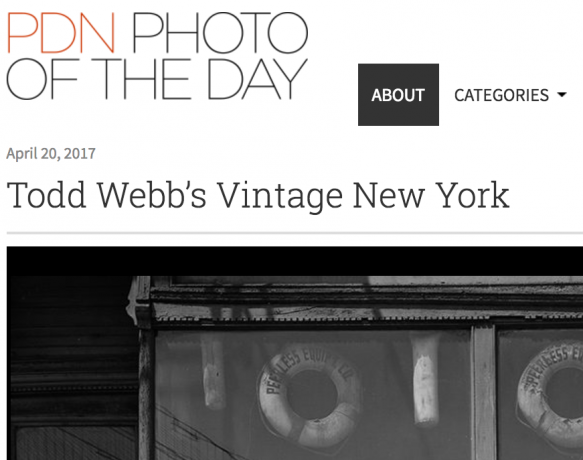 As a newly discharged Navy veteran, Webb (1905-2000) moved to New York in 1945 to dedicate a year to photographing the city. Armed with a large format camera and tripod, he worked relentlessly and the year turned into several decades. 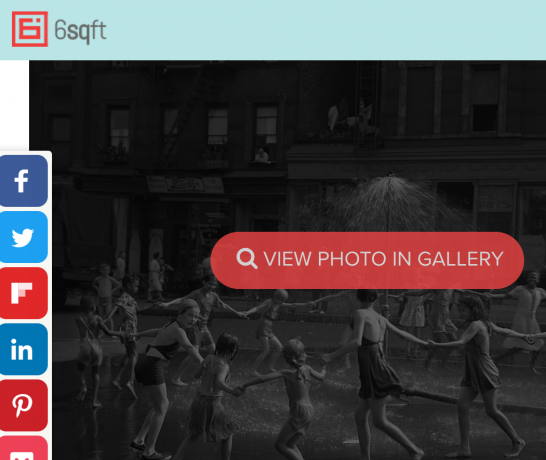 Webb’s images captured the city’s contrasts—from Midtown’s skyscrapers to the Lower East Side’s tenements, from high-powered businessmen in the Financial District to the remnants of old ethnic enclaves in Lower Manhattan. 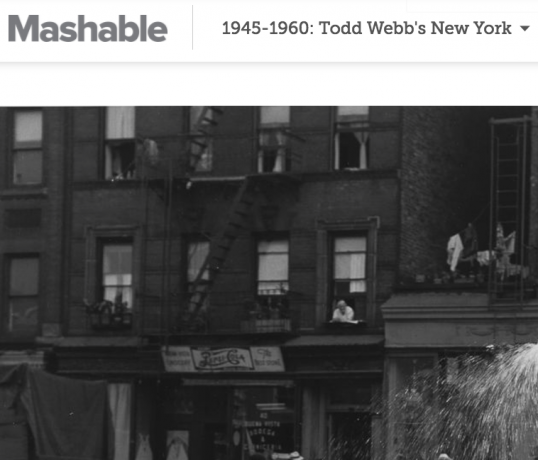 By the time Todd Webb arrived in New York City in 1945, he’d lived enough lives for several men. He had lost his fortune in the 1929 crash; hunted for gold in California, Mexico and Panama; worked for Chrysler in his hometown, Detroit; and served in the South Pacific as a photographer’s mate first class. But it was in New York City that his love of photography took off, albeit with a slight detour. 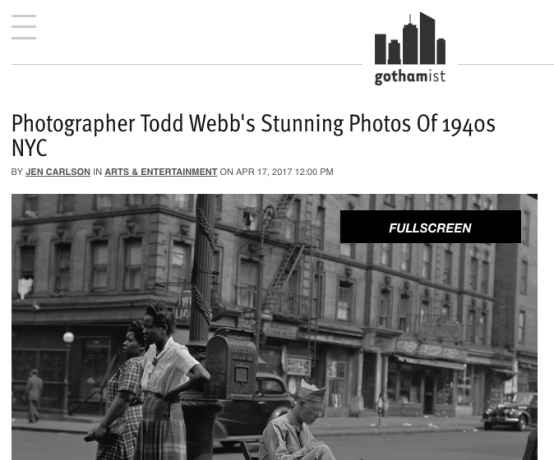 By the time Todd Webb arrived in New York City in 1945, he had lived enough lives for several men. He lost his fortune in the 1929 crash; hunted for gold in California, Mexico and Panama; worked for Chrysler in Detroit, his hometown; and served in the South Pacific as a photographer’s mate. 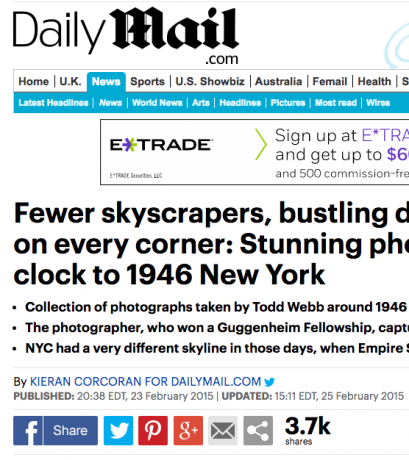 But it was in New York where his love of photography took off, though with a slight detour. 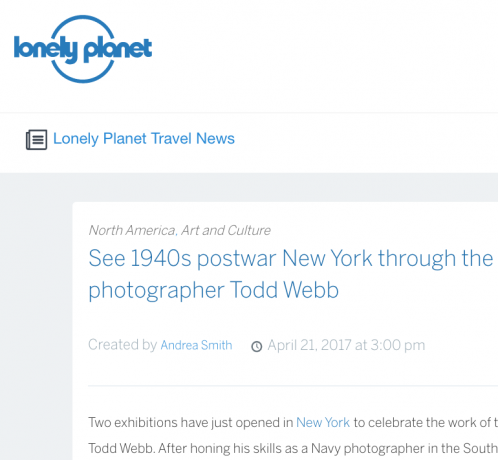 In 1942, on his way to report for duty in the Navy, Mr. Webb passed through New York to meet with the manager of Alfred Stieglitz’s gallery, An American Place. He sold three of his photos before shipping off to war. 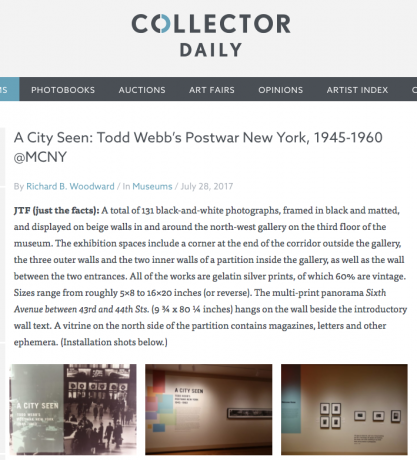 A year after he returned, in 1945, he had his first exhibition at the Museum of the City of New York, where he is now having a homecoming in “A City Seen: Todd Webb’s Postwar New York 1945-1960,” which opens on April 20. Order a copy of the wonderful book Wanda Corn put together to accompany the show at the Brooklyn Museum! 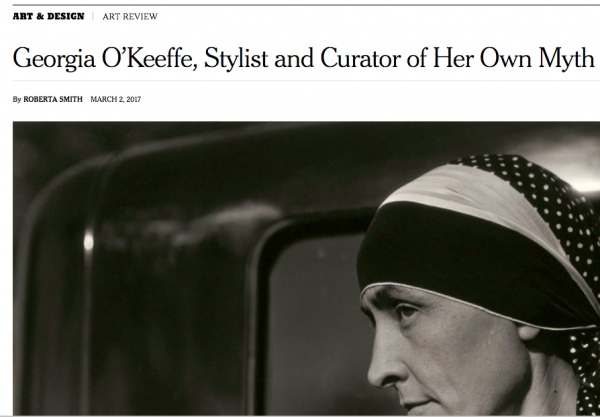 It features several great pictures of O'Keeffe by our very own Todd Webb. 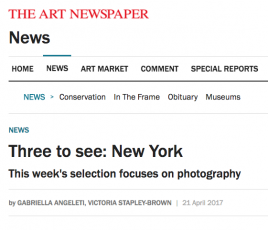 On Wednesday, April 19, a solo exhibition curated by Bill Shapiro entitled Down Any Street: Todd Webb’s Photographs of New York 1946-1960 will open at The Curator Gallery, a commercial gallery space located in the heart of New York’s Chelsea art district. 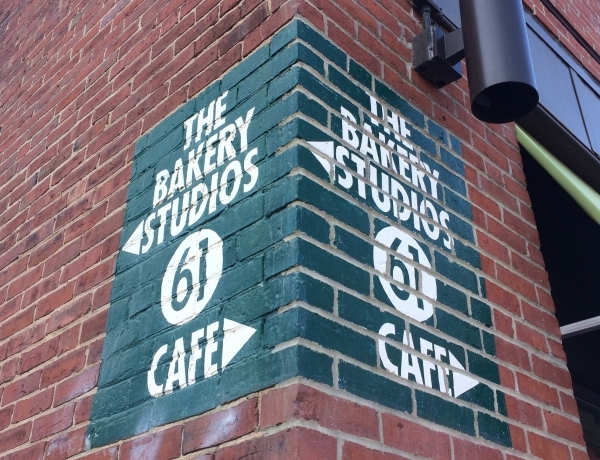 The gallery show will include vintage prints as well as modern prints made by John Hill, a printer/designer who served as the executor of Walker Evans' estate. Come visit, we're here by chance or appointment. 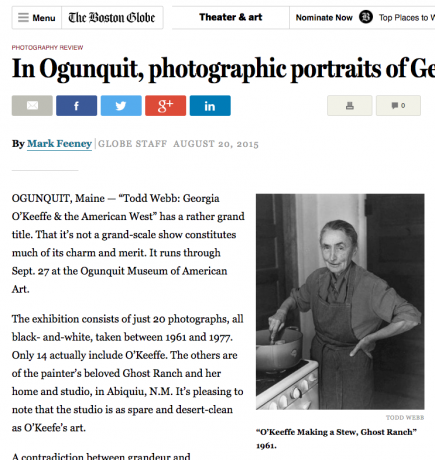 OGUNQUIT, Maine — “Todd Webb: Georgia O’Keeffe & the American West” has a rather grand title. That it’s not a grand-scale show constitutes much of its charm and merit. 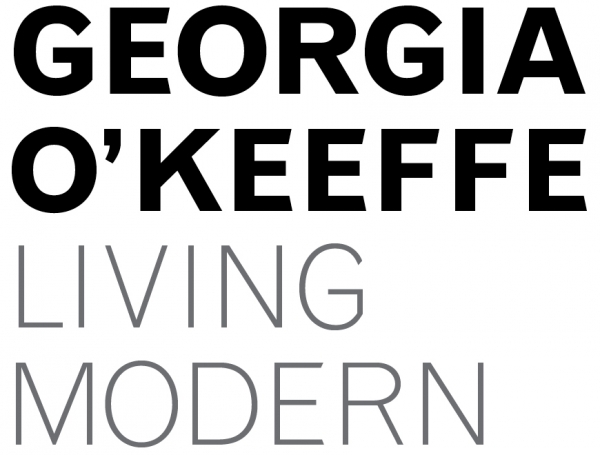 It runs through Sept. 27 at the Ogunquit Museum of American Art. The exhibition consists of just 20 photographs, all black- and-white, taken between 1961 and 1977. 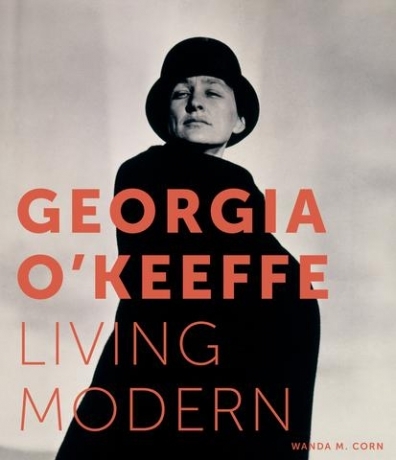 Only 14 actually include O’Keeffe. 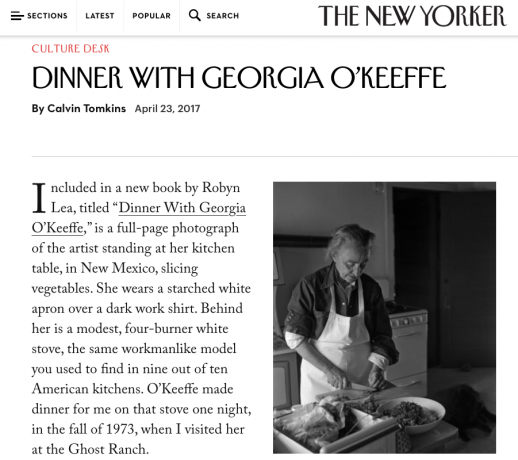 The others are of the painter’s beloved Ghost Ranch and her home and studio, in Abiquiu, N.M. It’s pleasing to note that the studio is as spare and desert-clean as O’Keefe’s art. 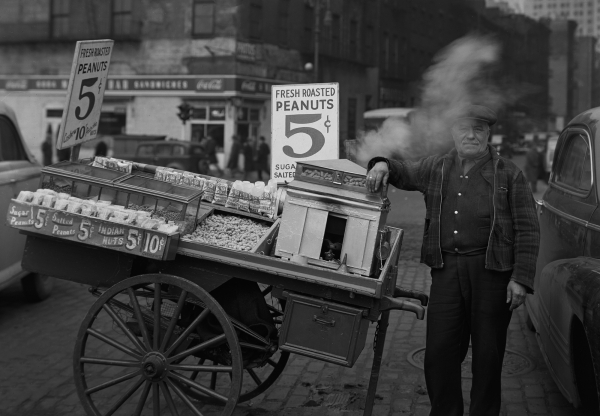 These stunning photographs show a lost vision of New York City, where streetcars barreled down Third Avenue, the Empire State Building was the tallest in town - and five cents could get you a a bag of fresh-roasted peanuts. Taken by photographer Todd Webb in 1946, the collection of 15 black and white images show the then-bustling docks of Manhattan, the skyline as it was before glass-clad skyscrapers rose up in decades to come - and the people who called the city home.